Gamblin Artist's Oil Colors are crafted by hand with the well-being of artists, their work, and the environment in mind. They combine the best traditions of the past with the latest technical innovations, giving you the freedom to create without compromise. 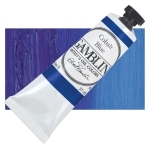 ® Gamblin is a registered trademark.™ The Tools of Contemporary Masters is a trademark.